Paul A. Beck, Professor Emeritus of Political Science and member of the Emeritus Academy at The Ohio State University. Paul A. Beck is currently an Academy Professor of Political Science at The Ohio State University and co-coordinator of the Comparative National Election Project (CNEP), which has now conducted election surveys in 54 elections across the world. Before retiring in 2012, he was Distinguished Professor of Social and Behavioral Science and Professor of Political Science with courtesy professor appointments in the School of Communication and Department of Sociology at Ohio State. He chaired the Department of Political Science from 1991 to 2004 and was dean of the College of Social and Behavioral Sciences from 2004 to 2008. Beck has published widely in leading professional journals on voting behavior, political parties, and public opinion. He was author/co-author of 4 editions of Party Politics in America (1988, 1992, 1997, and 2001) and co-editor of Voting in Old and New Democracies (2016) and Electoral Change in Advanced Industrial Democracies (1984). In 2016, he co-authored articles on cross-national discussion networks in the International Journal of Public Opinion Research and the Oxford Handbook of Political Networks. His co-authored 2017 article “Americans Are More Exposed to Difference than We Think” appears in Social Networks. His co-authored “What Happened to the Ground Game in 2016” is published in The State of the Parties 2018. Currently, he is the co-PI for national post-election surveys in the US 2016, France 2017, and Britain 2017 elections -- the latter supported by his fifth grant from the National Science Foundation. His most recent research papers have focused on the impact of “fake news” in the 2016 US presidential election and on populist voting in recent elections in the US, Britain, France, and Germany. 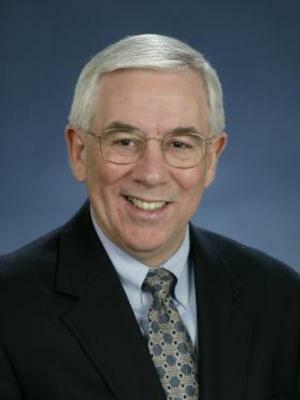 He is recipient of the Distinguished Scholar and Distinguished University Service awards from Ohio State University and the American Political Science Association’s Goodnow Award for distinguished service to the profession and its Eldersveld Award for lifetime professional contributions to the field of political organizations and parties. Over the course of his career, Beck has chaired the thesis committees for 37 PhD and 9 Honors students. In recent years, he has provided political commentary for a wide variety of local, national, and international media.